Surprisingly, there are still players in our Standard Pauper community who don't pay any attention to what;s going on over at Wizards. While I will be the first to admit that most of the time what's trending over at WotC doesn't pertain much to the Standard Pauper format, this is still a mistake. After all, if Standard is the most popular format, it should go without saying that whatever Wizards decides to do to that format will definitely spill-over into Standard Pauper in one way or another. So in case you missed it, last week Mark Rosewater announced a major change to the way that they are structuring Magic sets. Currently, Wizards releases two Expert blocks a year, each of which is three sets, as well as a Core block, for a combination of ten sets a year. This also means that Standard, at most, includes eight sets, since Standard doesn't rotate until the third Expert block is released (and thus includes two Core sets, just like it does now). But all that is going to change. Starting in the fall of 2015, each Expert block will only be two sets instead of three. Furthermore, by the time the spring of 2016 rolls around, Wizards will be releasing three Expert blocks a year instead of two. Additionally, this means that something had to be eliminated, and that something is the Core set. Finally, Standard will now rotate after six sets, which works out to twice a year instead of just once. This also means that Standard will now always be either five or six sets, rather than ranging from five to eight as it does now. With Standard rotating more often, the metagame will change more quickly. Format-warping cards will rotate faster, and established decks will have to adapt to this more rapid pace. While I maintain that the metagame is already fairly healthy, this change can only improve that. 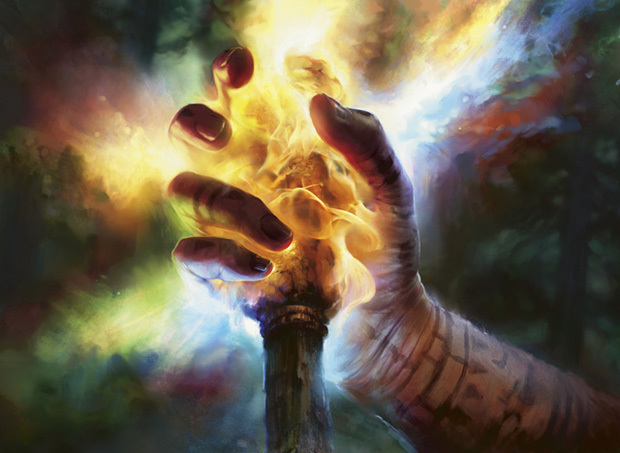 With the Core Set gone, the overall complexity of the format will increase slightly, since the Core Set had more stringent restrictions on what could be printed at Common. While the total number of cards will be smaller, the overall quality of the cards we do have should be higher. What about you? What do you think of this change? Let me know in the comments below. I am a fantasy writer, aficionado of Magic the Gathering Online, member of the Standard Pauper Players clan on MTGO, and a regular contributor at PureMTGO.com on the Standard Pauper format of MTGO. Want to support Writer Adept? It's easy! You can donate through PayPal below. Or, next time you shop at Amazon.com, just start your shopping with the link below, and a portion of your purchase will go to support this blog - and it won't cost you a dime! Where Are the Replays on MTGO Version 4? Wizards of the Coast, Magic: The Gathering, and their logos are trademarks of Wizards of the Coast LLC in the United States and other countries. © 2012 Wizards. All Rights Reserved. This blog is not affiliated with, endorsed, sponsored, or specifically approved by Wizards of the Coast LLC. This blog may use the trademarks and other intellectual property of Wizards of the Coast LLC, which is permitted under Wizards' Fan Site Policy. For example, MAGIC: THE GATHERING® is a trademark[s] of Wizards of the Coast. For more information about Wizards of the Coast or any of Wizards' trademarks or other intellectual property, please visit their website at (www.wizards.com)."